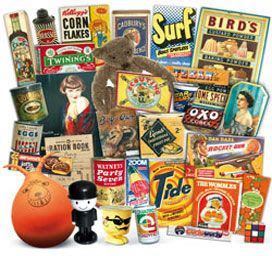 This small museum hidden away in Notting Hill has thousands of examples of everyday packaging and other everyday items. The museum records the British way of life over the past 100 years and how it has changed through the evolution of consumer brands, showing how they have had to evolve to keep up with changes in society, fashion and technology. Visitors are immediately drawn to the decade of their childhood, recognising sweet wrappers and toys as they remember them.